Much like Sahaquiel, Arael is able to maintain orbit around Earth. 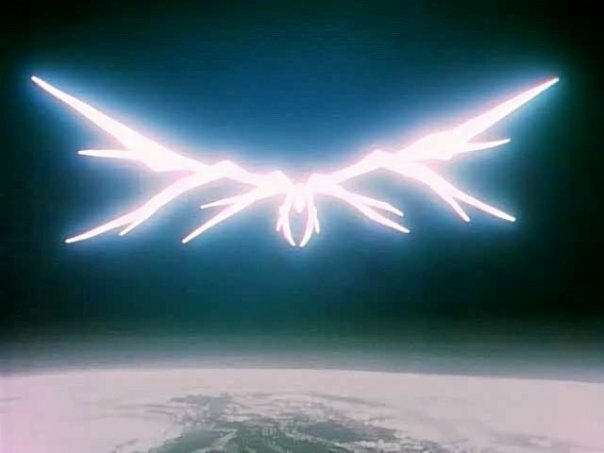 Although, instead of dropping bombs, this Angel can fire a single long-ranged laser which invades the victims minds and leave the victim in a paralyzed type state caused by brian damage. This laser makes the victim relive past memories and causes distress in the mind. Plus it has a strong AT field. 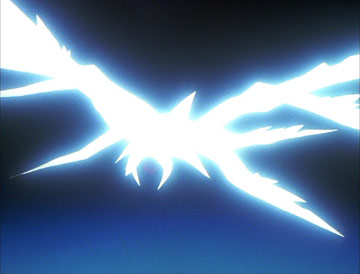 Rei Ayanami is forced to use the Lance of Longinus to destroy the Angel after Asuka is rendered incapable of fighting because of the Angel's laser attack. The lance destroys the Angel, but is lost forever.